During their commute to Rainbows, 19 year old Jessica squeals with delight when her mother Jennifer merges on the highway. Jessica knows exactly where they are headed. Jessica suffered from a stroke before she was born and has since been diagnosed with Cerebral Palsy. Her difficulties with mobility result in many falls and sometimes head injuries. Jessica also needs help with everyday things like getting dressed plus brushing her hair and teeth. Jessica receives in home respite care and attends after school latchkey and Camp Woodchuck. Rainbows’ services keep Jessica active which she loves. Her respite worker takes her out into the community to places like the park, zoo, and even the mall. At latchkey and camp, Jessica participates in activities that are geared toward her. Rainbows’ services provide Jennifer with much needed time. 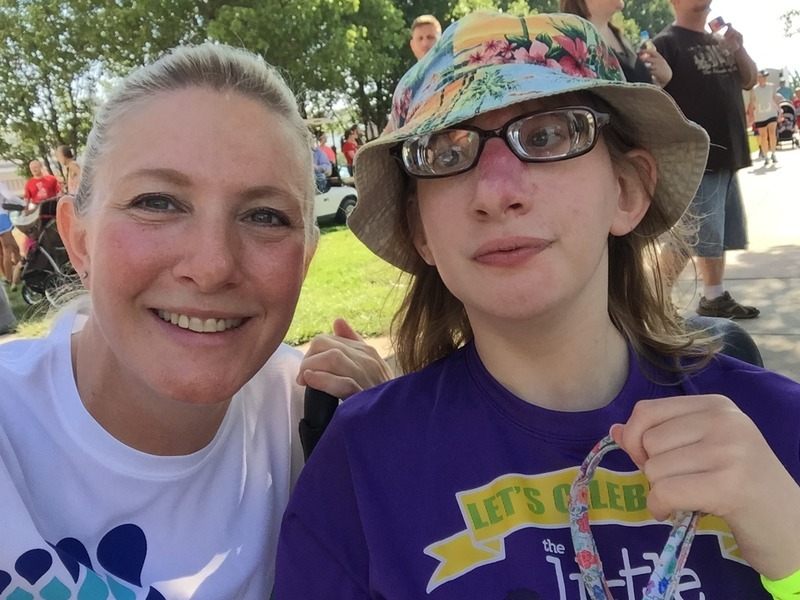 “It allows me to have some freedom and to run errands that would be difficult to manage with Jessica,” Jennifer said. Jessica has a smile on her face when she comes through the door at Kids’ Cove, she is happy to spend time with her friends Danielle and Sandra. Often times Jessica will play like she wants a hug from a staff member, then tease them by folding her arms and not giving a hug. She also enjoys watching the other kids and giggles when they do something silly. When Jessica is at Rainbows or with her respite worker, Jennifer does not have to worry about her well being. They work with Jessica on her mobility and keep her on track with her with life skills.